Ketevan, 1998. Oil on wood. 12 x 16 in. Ann, 1994. Oil on wood. 16 x 12 in. Alba, 1994. Oil on wood. 12 x 9 in. Galería Javier López is pleased to announce the opening of the solo exhibit by the North American artist, Alex Katz (New York, 1927), this coming Thursday, 17th of September. 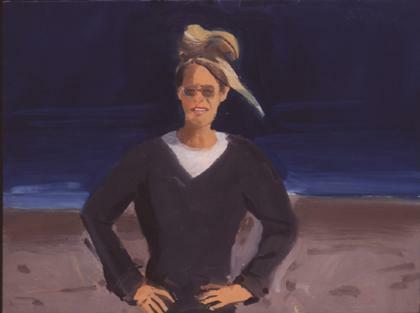 The show presents ten portraits, each with a different format, produced during this last decade. 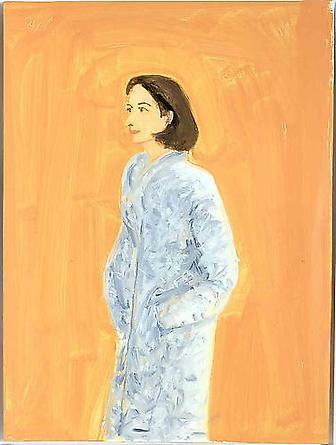 Alex Katz was born in Brooklyn, New York, in 1927. Despite notable influences from different art tendencies, his work is difficult to place. Katz’s contemporaneous art established him as a pioneer among second-generation abstract painters. This brought his innovative work to marry two styles, Action Painting and Pop Art. With the Action painters he shared an interest in large-scale formats. In common with Pop Art, he relished a preference for scenes of daily life in New York. Despite his clear abiding interests with other artistic groups, his work does not easily fit into any of the artistic movements that have been defined in the second half of this Century. His paintings seem at first glance to convey an apparent innocence and simple. But, these characteristics only shadow off momentarily the great complexity embedded in his work. Introduction for the exhibition “Alex Katz” at IVAM on 1996 by Juan Manuel Bonet.